Periodontal disease, or gum disease, and the pathogens involved have been linked to an increased risk of pancreatic cancer. Researchers have found that men and women whose oral microbiomes included Porphyromonas gingivalis have a 59 per cent greater risk of developing pancreatic cancer than those whose microbiomes did not contain the bacterium. Similarly, oral microbiomes containing Aggregatibacter actinomycetemcomitans were at least 50 percent more likely overall to develop the disease. Both types of bacteria have been tied in the past to periodontitis and inflammation of the gums. The research was conducted by NYU Langone Medical Center; New York University School of Medicine. 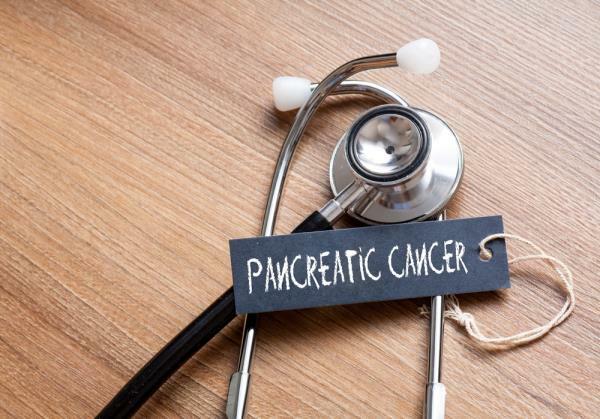 Chris Woollams, former Oxford University Biochemist and a founder of CANCERactive said, "At CANCERactive we have already seen patients with pancreatic cancer being sent by their oncologists to the dentist to treat their periodontal disease or gum disease. Bad breath and receding gums can be a strong indicator of pathogens in the mouth. We have now seen research showing a greater risk of liver cancer, pancreatic cancer and even breast cancer in people with gum disease. Only recently, a second study from the same researchers linked pancreatic cancer to a rush of bacteria from the gut. Suddenly there was a thousand fold increase in the number of bacteria moving from the gut to the pancreas - and of course this would include these oral pathogens. One estimate suggested almost half the population had gum disease nowadays. It used to be thought of as just a local disease leading to receding gums, tooth or even bone loss. But now it looks like the consequences could be far worse. Pancreatic cancer cases are growing at 4 to 5% a year. It is a modern plague. And it has a very poor prognosis."